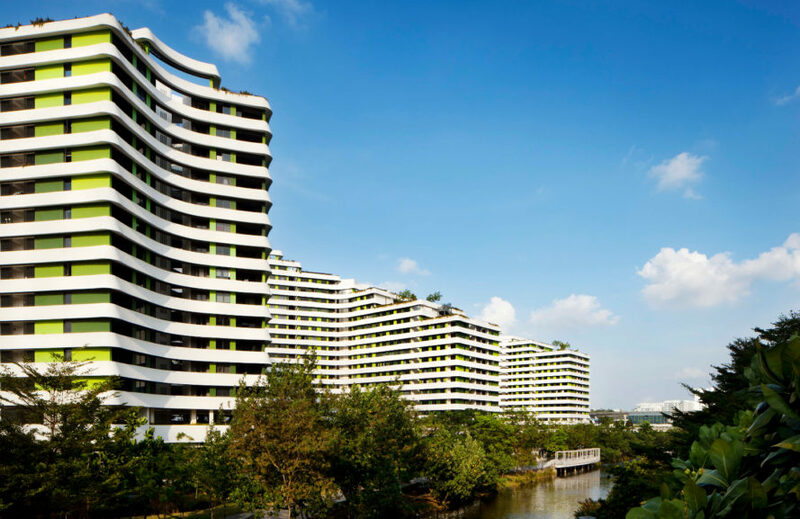 The tropical climate and dense urban area of Singapore demands housing that accommodates both factors. Each phase of this project’s planning takes into consideration the need for low-environmental impact cooling needs, down to which direction the buildings face. The Terraces feature apartments facing the distinct bisecting waterway and adorned with rippling Juliet balconies, which mimic casual waves on the buildings’ facades. 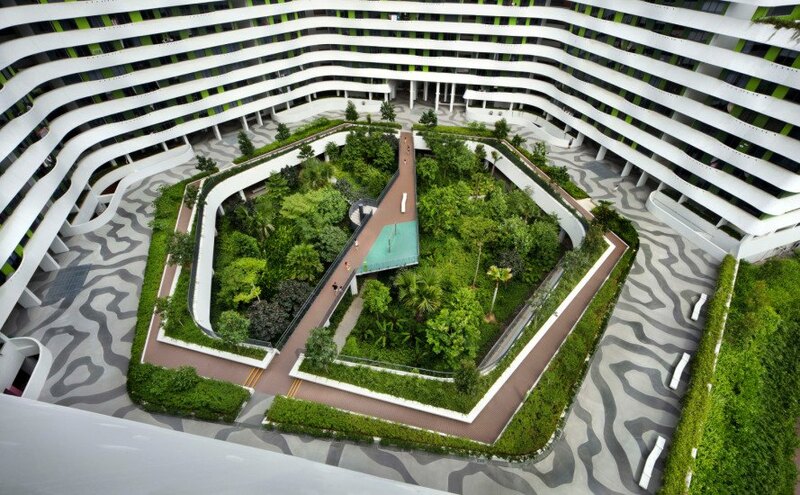 The tropical climate and dense urban area of Singapore demands housing that accommodates both factors. Each phase of this project’s planning takes into consideration the need for low-environmental impact cooling needs, down to which direction the buildings face. The Terraces feature apartments facing the distinct bisecting waterway and adorned with rippling Juliet balconies, which mimic casual waves on the buildings’ facades. Cross-ventilation was prioritized all throughout the design, creating a passive climate-controlled environment. Continuous, open corridors allow air to cool the tropical location and provide plenty of natural sunlight for residents. The project also features both solar panels and green roofs as the cherries on top of the sustainable gem.